Adra album from guitarist Chris Roberts, featuring my work Hiraeth am Nefoedd available from July 2019. Annunciations: Sacred Music for the 21st Century, edited by George Corbett, available from May 4th 2019. 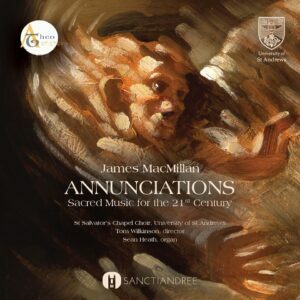 Available to order: Anselm McDonnell on James Macmillan’s ‘Annunciations’ CD. Review from Transpositions available here.